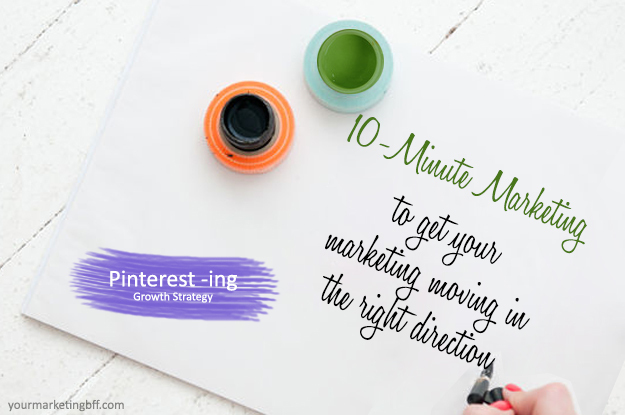 10-Minute Marketing is a quick, marketing action that you can start doing immediately. This is a way for you to start taking ACTION towards marketing your business with just 10 minutes of your time! Objective: Follow, comment, like or repin from someone that is a like-minded pinner. By connecting and engaging with like-minded pinners (people that are into what you’re into), they’ll notice you and a lot of times go check you out! Not only will you be taking action to build community, you’ll be supporting the community as well. A win/win. 1. Search for boards under one specific topic. Search for a topic that interests you and your business. 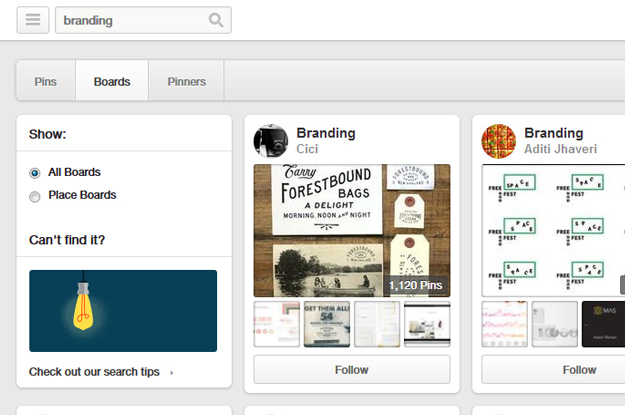 In my case, I would search for boards with a specific topic like BRANDING, DESIGN, TRADE SHOW BOOTHS. 2. 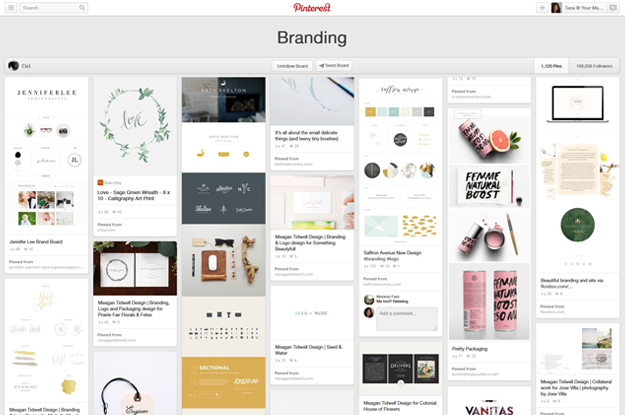 Follow a board that shares a similar lifestyle of your brand/business. I look for clean/modern, editorial, feminine + edgy style boards that are similar to my vibe/style. Note: These are branding words or styles that support the Your Marketing BFF online brand! 3. Find a pin you really like. 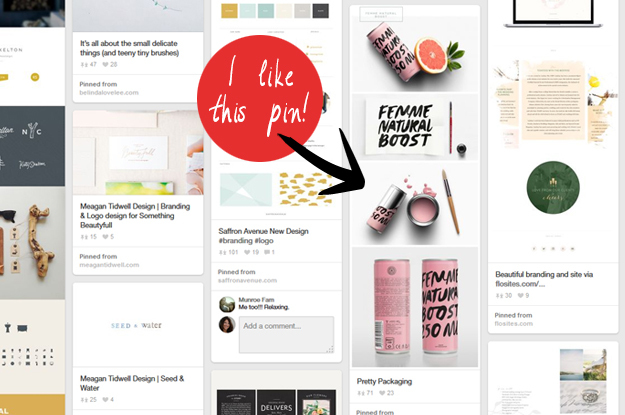 Open the board and find a pin that you like. 4. Leave a comment, like the pin or repin. Since this pin really resonated with me, personally and professionally, I decided to comment: “I would buy this solely for the pretty packaging.” Note: not only am I commenting, I’m providing the reader with a piece of me/my personality. 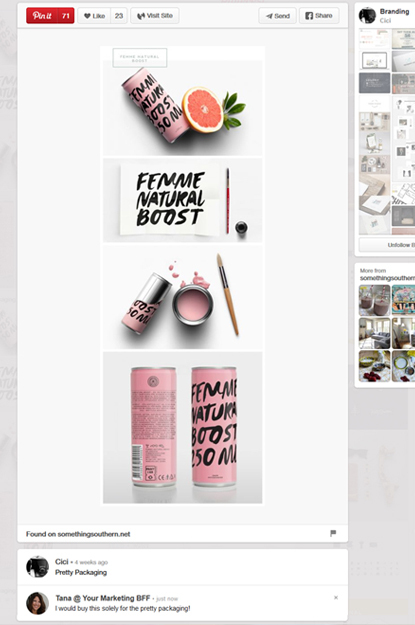 In this instance, I also chose to like and repin the image to my PACKAGING board. 5. 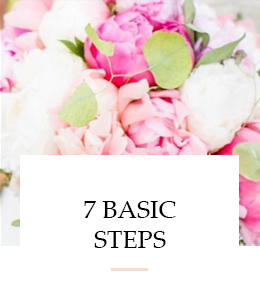 Repeat steps 1-4, until your 10 minutes are up! Share often. By making daily commitments, you’ll see greater benefits to your business! 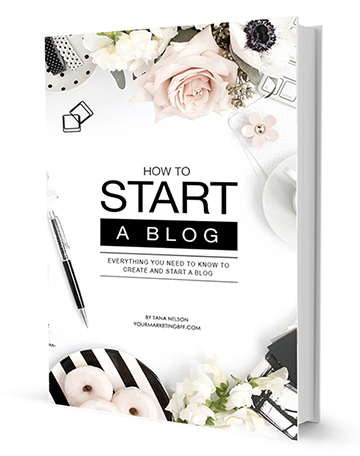 And, for those of you that are bloggers, this is also a great way to find content to write about!